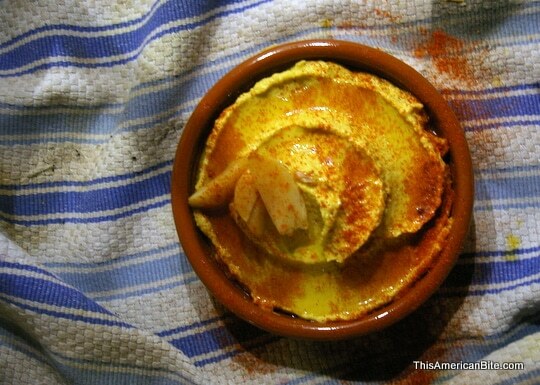 Yup, the latest addition to my hummus obsession is a grilled avocado hummus. 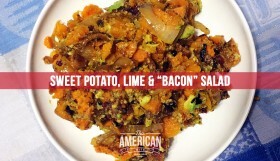 I can’t take full credit for the dish, after all, this month’s Kosher Connection link up theme lead me to this crazy awesome flavor combo. This month is a special month for the Kosher Connection as it marks a year since our first ever link up. This month all the participating food writers were assigned another member of the group to recreate a recipe from their archives. I was assigned What Jew Wanna Eat and immediately started to look through her archives to find something to share with you that would fit with my theme of grilling and BBQ for the month of July. 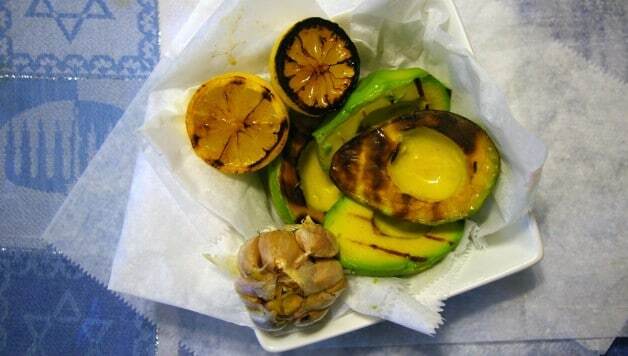 I’m not sure that I have ever cooked an avocado — I love them raw, and they are great for creating mayo-free dressings, and even chocolate mousse, but I’ve never grilled one. While grilling up the ingredients, I decided to give Amy’s recipe my own touch and I decided I’d grill my lemons and roast the garlic while I was at it. 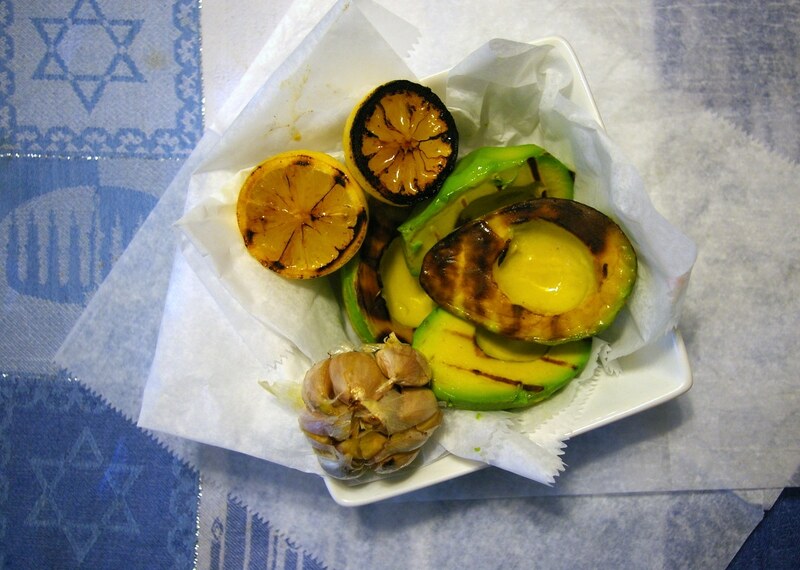 I love the aroma that fills the kitchen when you grill a lemon and it makes it very easy to squeeze the flesh, as well as the juice, into the hummus later on. 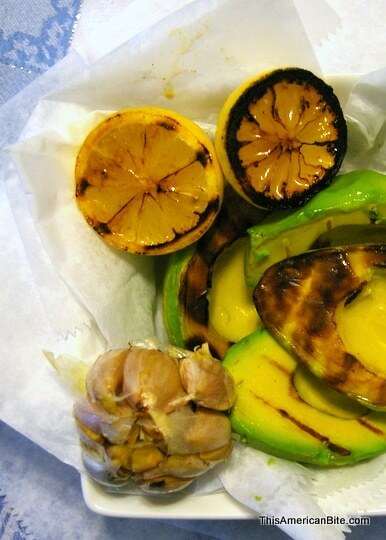 It only takes a couple of minutes to get those awesome grill marks on the avocado and lemon, especially if you’re working with high heat. I flipped the avocados and lemons after about three minutes and I have gotten into the habit of roasting a head of garlic almost every time I turn the oven on! Coconut oil is a great oil to use for this dish as the flavor is not a distraction from the final dish, and coconut oil handles heat very well . This turned out a decent size batch of hummus so I served some in my awesome new terracotta plates from The Shed and froze a batch for next week. Check out my version of Amy’s Grilled Avocado Hummus below, and be sure to scroll through to the comments as there’s an awesome giveaway to celebrate the Kosher Connection’s first birthday! Put a skillet on a high heat and melt a teaspoon of coconut oil before adding halved, pitted and peeled avocados to the skillet. Cut your lemons in half and add them too, turning after 180 seconds. 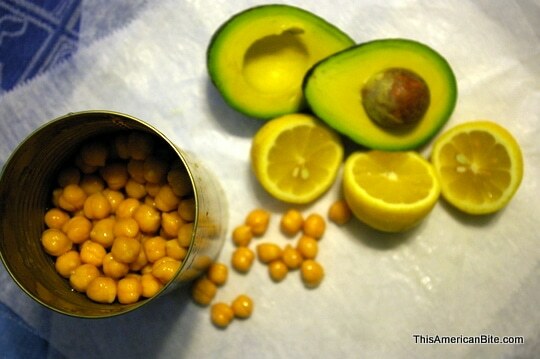 Once cooked, combine all the ingredients in a blender and pulse. 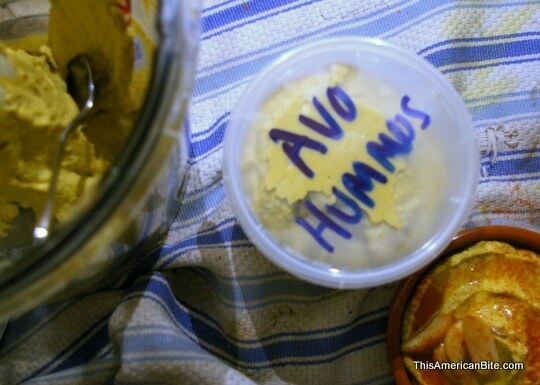 If the hummus is not smooth enough, slowly add more olive oil or liquid from the chickpeas. Season with salt and continue to pulse until smooth. 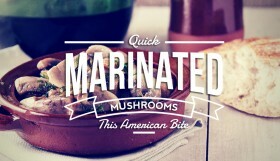 When serving, drizzle with some olive oil, zaatar or dukkah. 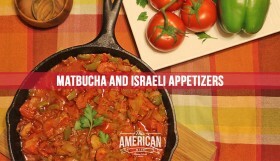 Be sure to check out the other fist anniversary recipes from the Kosher Connection, and don’t forget about that giveaway! UPDATE: To celebrate a year of the Kosher Connection, we are giving away two prizes from Emile Henry. 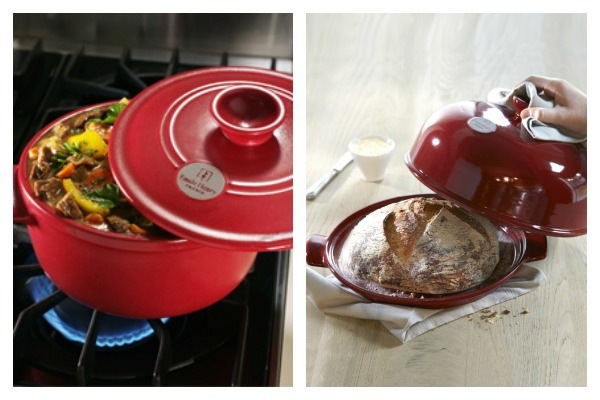 A Bread Cloche valued at $130 and a 4.2 qt Dutch Oven valued at $170! Use the Rafflecopter below to win- you can enter up to 23 ways! Two winners will be chosen at random. This giveaway is made possible thanks to Joy of Kosher. The contest winners will be contacted via email. They will have 48 hours to respond before other winners are chosen. This contest is open to United States residents over the age of 18. 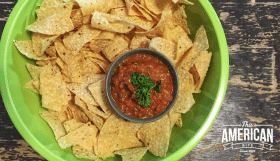 Leave me a comment telling me where you shared this blog post with you friends and I’ll send one random reader something from my kitchen too!